Deliver highly-targeted advertising campaigns to in-market consumers for a fraction of the cost of billboard, print, radio, and TV with Digital Air Strike’s Power Display. Our award-winning team of digital advertising specialists uses proprietary targeting to create powerful ROI-driven digital ad campaigns that produce results. 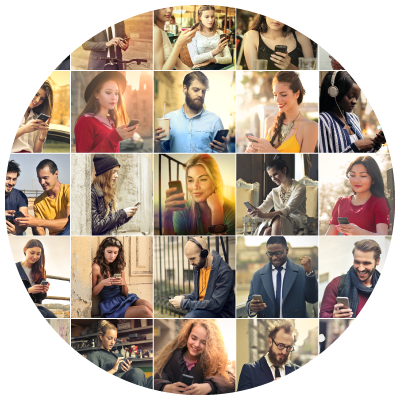 Our broad network of partners allows you to reach in-market consumers across the internet wherever they go. Increase the effectiveness of your campaigns by targeting customers based on web-browsing behavior, geographic location, demographics, and interests. Advertise across Facebook, Twitter, YouTube, LinkedIn, and dozens of other sites to capture new leads, promote your services, and sell your products. Integrate your ads to send lead information directly to your CRM for immediate follow-up while our dedicated team creates, posts, monitors, and manages your ad campaigns. For auto dealerships, Digital Air Strike’s Power Lead Driver includes over 40 premium automotive sites across the web, reaching 80+ million auto intenders every month. 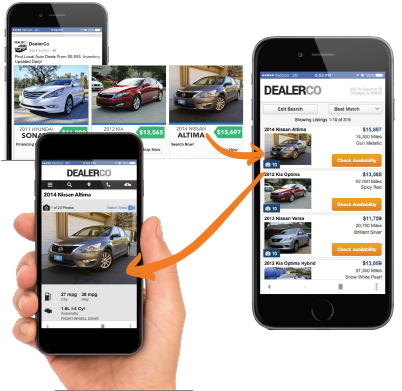 Dealership inventory is distributed in real-time and optimized within our network to drive deep-in-the-funnel consumers to your showrooms. 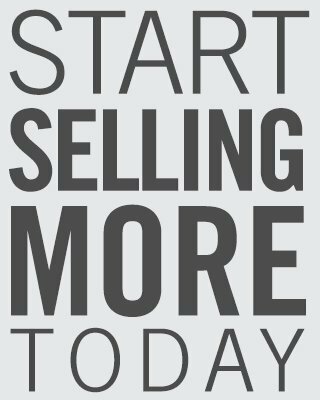 We also help dealerships sell their used inventory on Facebook Marketplace and retarget interested buyers with custom social ads. Ranked #1 for lowest bounce rate across all traffic sources, Digital Air Strike’s VDP Power Social delivers double opt-in Facebook users to your dealership VDPs – Guaranteed! We send in-market shoppers to your dealership VDPs and you pay only for the traffic we deliver. 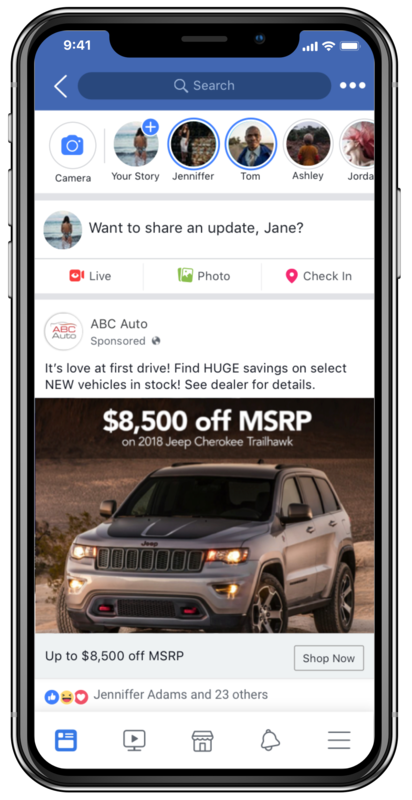 By leveraging Facebook data and our proprietary algorithm, we target local auto intenders and systematically promote your vehicles with a customized carousel ad within the Facebook Newsfeed. You receive high-impact, high-ROI Facebook campaigns in minutes without the work, hassle, or added expense of manually launching campaigns. Our monthly reporting tracks your KPIs to ensure you are getting results. Monthly reports show how your ads are performing and allow you to analyze specific metrics, including consumers you’ve reached and people who have clicked on your ads. Our offline conversion reporting matches ad clicks to actual purchases to show measurable ROI. T&T Coast Buick GMC Sold $400,000 in Inventory in Just Three Months of Running Social Media Ad Campaigns with Digital Air Strike™! Sun Valley Lodge Increased In-Bound Leads with Digital Air Strike’s Facebook Ad Campaigns! I am very excited about the overwhelming success of our Facebook ad campaigns. Our last two campaigns generated 20 car sales and over 150 service transactions. Amazing results! The entire team at Digital Air Strike has been very helpful and accessible throughout the entire process of designing and rolling out our Social Ad and Social Logix program. I am seeing a dramatic uptick in our website traffic, leads, and sales. I am very excited about my relationship with Digital Air Strike and wholeheartedly recommend their services. Due to Digital Air Strike’s expertise in social advertising, we sold five vehicles during the two-week campaign. Digital Air Strike makes it easy for us to target in-market buyers and put our advertising in front of them where they spend a good amount of time: on Facebook. They also create the graphics in-house at no extra cost. I am happy to be working with them because they are helping us sell cars.